The Raw Word : Full episode! Hello everyone! It’s finally here, we have the full episode of the appearance of Ashlee Simpson Ross and Evan Ross in “The Raw Word“. Their interview begins in the 30th minute of the video. They talked a little about their album during the interview. They are so adorable! 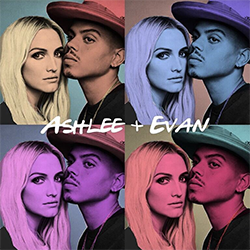 Plus, I just wanted to tell you that Ashlee & Evan are working a lot on their joint album, they almost are in studio every day so it’s coming soon, I am so excited about this. Plus, don’t forget that I regularly update the “Ashlee Simpson Snaps” part on the website, you can see them in the studio. Captures of The Raw Word! Hello again! I just wanted to let you know that you can now find all the captures of the appearances of Ashlee Simpson & Evan Ross in “The Raw Word” on the gallery. Ashlee and Evan on “The Raw Word”! Hello everyone! Today (March 6), Ashlee Simpson Ross and Evan Ross were on the new episode of the talk show, “The Raw Word“. They talked about their children, their family life, that they want to have at least another kid but (good news!) they said they will release their album before. You will find two videos of their interview below. They are adorable! Music Sessions & News about the Raw Word! Hello everyone! Yesterday (March 1), Ashlee Simpson Ross and Evan Ross did some music with their close friends, Naz Tokio and Austin Brown. It looks like they are still working on their joint album. Evan posted pictures on Instagram with this legend : “ME & My BABY @ashleesimpsonross . Sessions with @austinbrown @brianlondon and @naztokio #thetreehouse“. Some videos were posted on their friends’ Instagram stories, you will find them here. Also, good news! It’s official, Ashlee and Evan will make an appearance on the new talk show “The Raw Word“. The Instagram account of the show posted a picture of the couple saying they will talk about love and life advice. According to some sources, the episode with them will be airing on March 6th and it will be an exclusive at home interview. I can’t wait to see all of this! Hello everyone! It looks like Ashlee Simpson Ross & Evan Ross will make another appearance on a new talk show called “The Raw Word” which will air for the first time on March 5th. We don’t have more informations for now so stay tuned! Meanwhile, you still can go on the talk show’s Instagram account (here) or their website (here).